Credit: By Maurizio Pesce on Flickr. Some rights reserved. 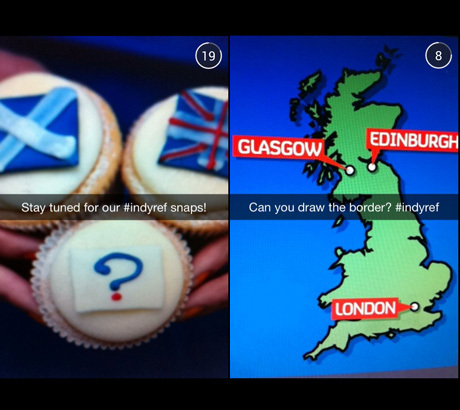 Channel 4 News is including WhatsApp and Snapchat updates in its coverage of the Scottish Independence Referendum, using the platforms to distribute some of the latest news before publishing it elsewhere online. Jennifer Rigby, social media and special projects producer at Channel 4 (C4) News, told Journalism.co.uk she wanted to "do something distinctive and Channel 4 Newsy". “We started thinking about what we could do overnight on Thursday for the independence referendum, particularly with a team that's smaller than our rivals who've got 24 hour news operations,” she said. Part of the aim, Rigby added, was to engage young people who might be voting for the first time, by considering "where they are online and digitally, what apps they're using... where they're interacting, where they get their news". Channel 4's newly launched WhatsApp and Snapchat accounts are also an experiment to see if people want to receive news on apps they traditionally use to communicate with their friends, she added. WhatsApp updates will include photos, videos and text in a similar format to Twitter, said Rigby, and would not consist solely of "straight news" but also analysis from its broadcast journalists on the ground. 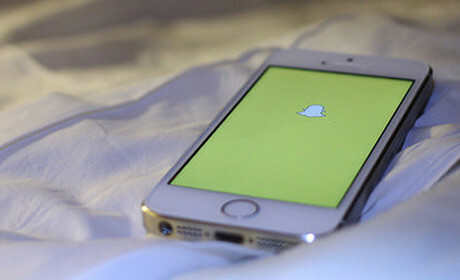 On Snapchat, Rigby plans to make use of Snapchat Stories, where updates can be viewed for 24 hours after posting, to document the results of ballot counts. Rigby will also be sending out 'snaps' – images with overlay text which are viewable for up to 10 seconds – as teasers directing people to the 'stories', as well as videos on the night. "For something like an overnight vote it doesn't really matter that after 24 hours it will be gone," she explained. "In a way no one is going to want to go back and look... it's the 'in the moment' element which is appealing, hopefully." Rigby plans on breaking news via Snapchat and WhatsApp on the night of the referendum in order to encourage people to add the accounts, rather than simply following the action on Twitter, Facebook, or a live blog. "It is a different way of thinking for us," she said, "but on the other hand TV news is there and then it's gone. That's how Channel 4 News operated for years until the internet so... we'll just go back to that kind of thinking." Channel 4's correspondents in Scotland, including Paul Mason and Jon Snow, will be sending Rigby content to post to the new accounts. While this content will be "the sort of thing they would be filming anyway", WhatsApp and Snapchat will bring about a new sense of immediacy as they will no longer have to wait until the 7 o'clock news to broadcast it. "It's... those amazing TV moments when the vote is announced, or the moment you speak to some crazy, amazing campaigner," said Rigby. "It's things like that I want them to send as the real feel of being in the moment of a really historic event." As well as news and analysis from analysis from C4's correspondents "scattered around Scotland", the new platforms will also offer additional content, with Rigby noting there is "space for a bit of fun". "Throughout this whole vote and the whole campaign, both sides have tried to kind of get a bit of humour into their messages and try to win people over like that," she said. "We'd like to play a little bit on that as well." Channel 4 News has also teamed up with Mashable for the vote, and will be publishing some of the outlet's blogs and video coverage on its website. According to Rigby, the partnership is another way to get C4's content in front of a different audience.